Dancing knives, leaping flames, sizzling ingredients… Watch as your gifted chef dazzles and wows with his mastery of teppanyaki – Japanese show cooking. One area of Ming Court restaurant is dedicated to the artistry of this exciting culinary tradition. Begin your meal with a selection of freshly made sashimi, nigiri or maki. 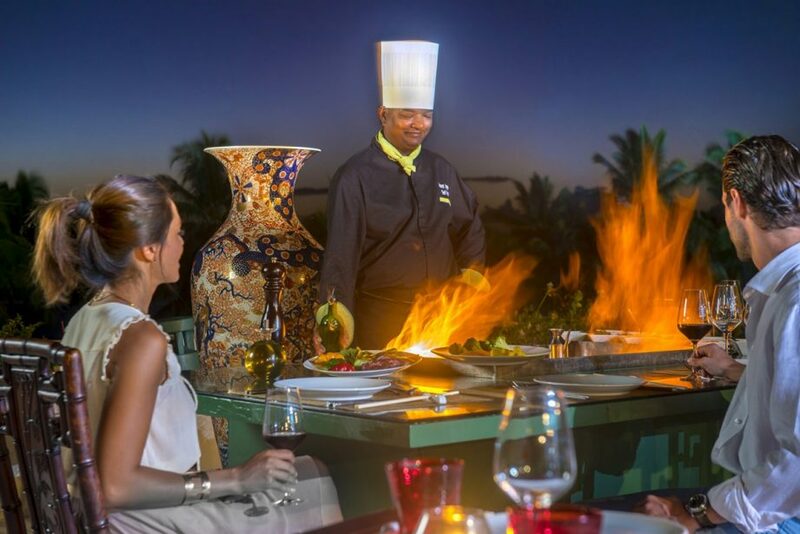 Then sit back and enjoy the show as your personal chef chops, flips and flambés your dinner. 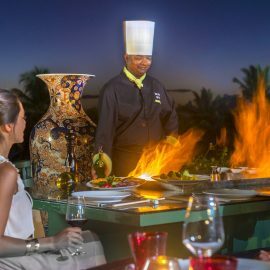 Choose from four exciting set menus – starter, main courses, sides and dessert – that feature the finest meats, seafood, vegetables and fruits Mauritius has to offer.